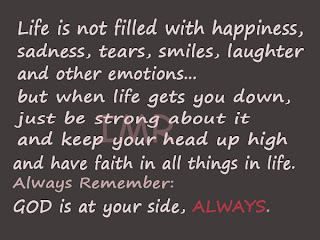 and have faith in all things in life. 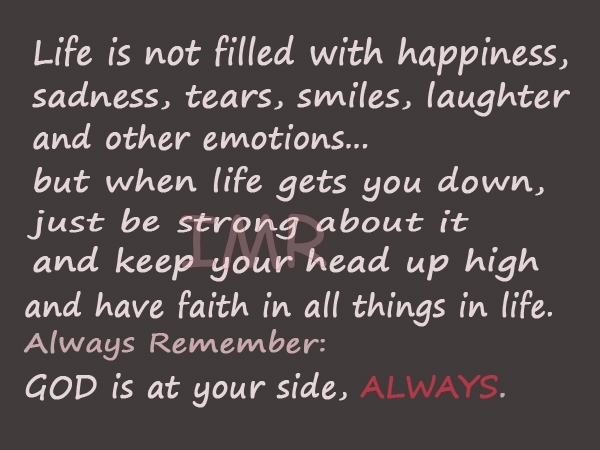 GOD is at your side, ALWAYS. yes i know god is so good cuz everytime have a problem in life just pray and god always guide us for our goal in life.